Will Anglin is sitting in the office of Tension Climbing; a climbing company he started with Ben Spannuth and Gabe Adams in 2015. Tension Climbing has been exploding recently, but that’s a whole different story. We’re here to talk with Will about training; more specifically, how to break into double-digits. At least, that’s what we think we’re going to talk about. We start discussing the proposed topic at hand (he’s equipped with Mentos, the Freshmaker) and we end up having a very different conversation than expected. I might get a little esoteric, is that okay? Nothing special happens between V9 and V10 that doesn’t happen between V8 and V9 or V7 and V8 or V10 and V11. No, it’s just a nice fun thing, like turning 10. You get extra candles on your cake. (Sarah, the interviewer, starts laughing because Sarah the interviewer laughs a lot.) Ok, ok, tell me more. I think some people equate it with a certain level of social prestige or value because it is pretty difficult. I think that a lot of people drop off between V8 and V11 because, for the average person, it starts to require a pretty high amount of dedication and time that isn’t super conducive to having a really robust social life or anything like that. It comes down to time and opportunity. If you have those things, it is pretty feasible. There are outliers, of course—those who are genetically predisposed to being particularly bad at the activity, or those who are genetically predisposed being really good at the activity. I don’t think everyone can climb V10 but I think there are plenty of people who don’t think they are capable of climbing at that level who are actually plenty capable...It just depends on how seriously they are willing to take it. So, basically V10 is arbitrary. But is there a formula you can use to get better regardless of what grade you’re trying to get to? The short answer is “no.” There is no series of exercises that will help you get to the next grade whether it’s V5 to V6 or V9 to V10. It’s gonna be different for each person. Climbing is pretty multifaceted and I think the first step is figuring out which facets are lagging behind the others, and what your weaknesses are. When people hear “what’s your weakness?” they tend to equate it to their physical weakness. I hear “I’m not great at pull-ups,” or, “I have a weak core,” and that’s not really the point. For some people, physical weakness is actually the weakest aspect of their climbing, and for those people, really buckling down and getting into the weight room or finger boarding or doing whatever it is to make them stronger is the most important thing for them. But, because strength is a fairly simple and quantifiable thing, it tends to become a scapegoat for people, even when it isn’t actually the most pressing issue. A lot of people are weak technically and they still haven't figured out how to move well while climbing. For any given move on any given climb, there is a position that you need to occupy in order to expend the least amount of energy possible to accomplish the move and then continue that for a whole boulder problem as you link all the positions together. If you're outside of that position, it takes exponentially more energy to do that move than if you’re inside that position, so that’s why components like movement and flexibility become really important. We all tend to gravitate toward things we’re good at. That’s just human nature. That can make it hard to get an honest look at yourself and realize: “This is a commitment issue for me. I’m scared of failure or I’m scared of falling,” or whatever it is. That’s where I think climbing partners can be really helpful. It’s really helpful to have a partner you’re okay having uncomfortable conversations with, and it’s not always an extreme positivity thing where they tell you, “You're doing great!” even if you’re not doing great. That might feel good in the moment but they’re actually hindering your performance by not being honest with you and saying something like, “I hear you telling me you’re trying hard, but I’ve seen you try hard, and that’s not what that was.” That kinda feedback is a lot more helpful. Interesting. So if we were to break this down into categories, what would they be? You can be physically weak. That’s the easiest thing to take care of. Lift heavy weights and hang from small edges. Done. There’s so much information out there on how to get physically stronger. Some of it I don’t agree with and some I do. But, there’s a ton of info out there and you can sift through it, talk to someone you trust, whatever. Just be safe and make sure the exercises you’re doing aren’t going to hurt you. You can be technically deficient: This is one that is especially frustrating to have conversations with people about, because they always want to know what the drill is, or what the exercise is, that’s gonna make them better at technique. I think it’s a fundamental misunderstanding of technique in climbing. To get better at any sport or activity, you have to actually do the sport or activity. Just because you are great at shooting drills in basketball, doesn’t mean you’re going to be a good basketball player. You have to actually play A TON of basketball. Climbing isn’t any different. Getting stronger on the hangboard or the campus board doesn’t mean you are going to be better at climbing. To get better at climbing, you have to actually climb. For people who love climbing, this should be great news. To get better at a thing, the most important thing you can do is the thing itself. To climb harder, climb a lot. Be super observant. Climb in different disciplines, different walls, different styles, and different people. There’s no shortcut to gaining as much experience as possible. People don’t like to hear that because they want to do XYZ to get better in a few days. It takes a particular mindset and maybe even a particular type of person to be attracted to this type of frustration. This brings me to the mental component. 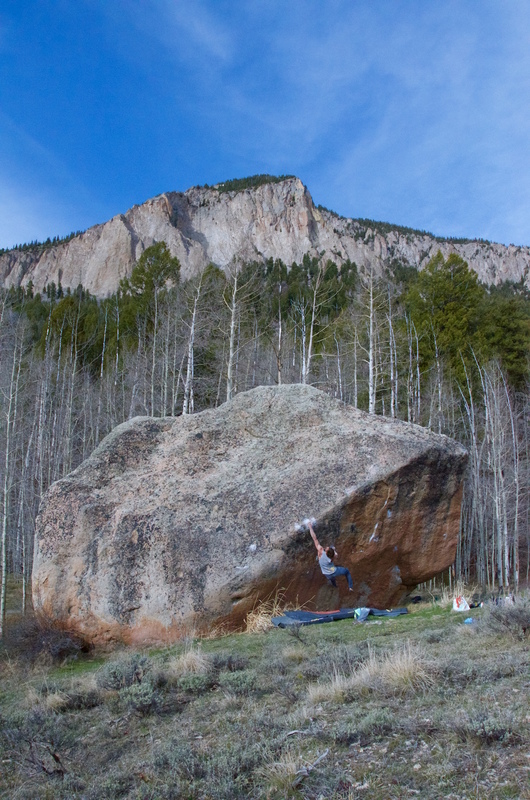 Will Anglin, Get Over It (Sit) V11, PC - "My tripod"
You have to be mentally strong. Mental strength is something that you’re constantly developing. Something you’re constantly learning and unlearning. That’s where I group commitment and honesty. Some people can handle being told that they’re not very good at something and then have their attention directed to something they can improve. Some people need so much sugar-coating that you can barely get to anything of substance. They’re gonna be so defeated so fast. The mental component is probably the least understood of all three. I’ve seen some weak people with really bad technique pull off some pretty incredible stuff because they’ve wanted it really bad. And, I’ve seen some really experienced, really strong climbers never send anywhere close to their potential because they can’t get their head together in order to execute and finish something. So, you really need all three pieces. You can’t be really good at two or really good at one because eventually you’re gonna get stuck somewhere. You’re going to get to a point where you’ve neglected one or two parts of the equation for so long that it becomes really hard to identify and hard to go back and figure out. 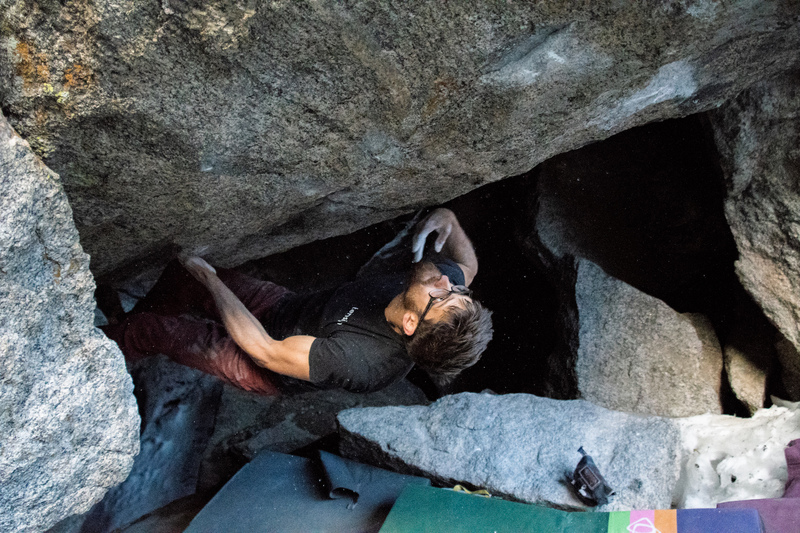 V10 is an arbitrary grade, but when you get to around V8 - V11, that’s where for the average climber, all three of those components have to start working together for success to be had. Some people have the time and opportunity to put all of that together, and some people don’t. What’s the number one mistake people make while trying to improve? People tie their idea of progression to the grading system. To me, right off the bat, that is a super flawed way to judge progression. Yeah. It’s not a big deal to want to climb a certain grade; it does represent something. It represents a certain level of mastery over the activity to be able to climb something that a population of people thinks is difficult. I’m not trying to take away from that. 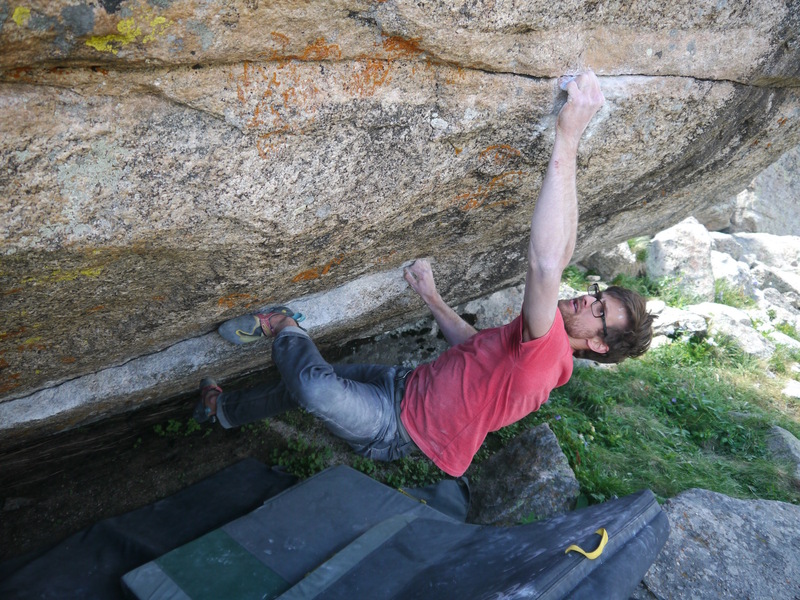 But if you climb V6 for a year, that doesn’t mean you haven’t improved that whole year. A grade jump is typically a conglomeration of a lot of different types of improvement and progress that are made over time, that eventually results in actually climbing another grade. I should say that defining progress is something each climber needs to do for themselves and figure out what that means for them. 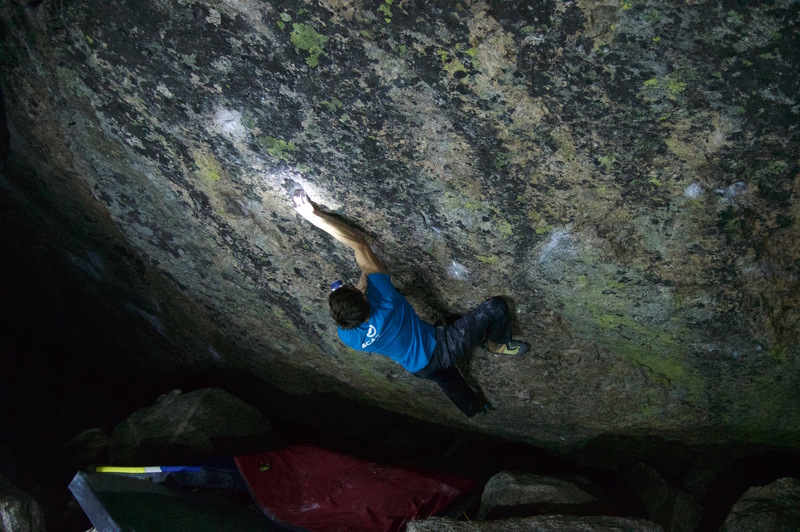 Like, yeah, you maybe haven't climbed V7, but did you climb more V6’s this month than last month? Were you able to go to the gym more this week than last week? Did you hang a slightly smaller edge? Did you feel better climbing? 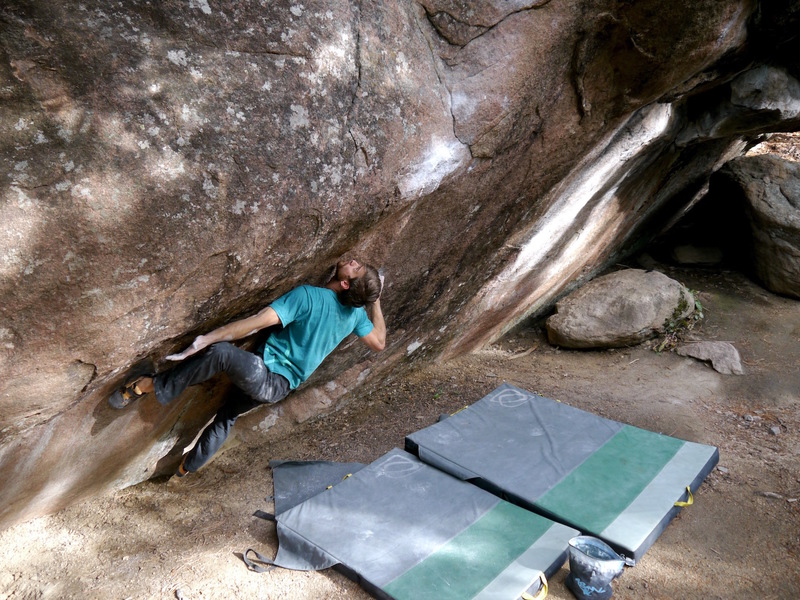 Did you climb a V6 in fewer attempts? Did you flash a V6? Did you figure out the beta faster? There are so many different ways that you can improve and see the progress that has nothing to do with whatever grade has been attached to whatever climb it is that you’re trying. Getting sucked into the idea that the grade itself is the measure of progress is @#&$. I mean, it’s misguided. With all that in mind, yeah, V10 is super arbitrary. I think in the US, we get wrapped up in V10 because there are two digits which makes it seem cooler. But it’s just one higher than 9. If we were in Europe, we’d be talking about breaking into the “8th grade”, or 8A, as the barrier to “hard” climbing. On our scale, that’s V11. The actual number or label attached to a difficulty becomes especially arbitrary. I think it’s really helpful to adjust your perspective on grades and what they mean. Rad, thanks, Will! Everyone has work to do.